WASHINGTON/NEW YORK (Reuters) - U.S. President Donald Trump launched an effort on Tuesday to increase ethanol use in the nation's gasoline pool, delivering a long-sought political victory to the country's Farm Belt and angering oil refiners ahead of November's congressional elections. "My administration is protecting ethanol. 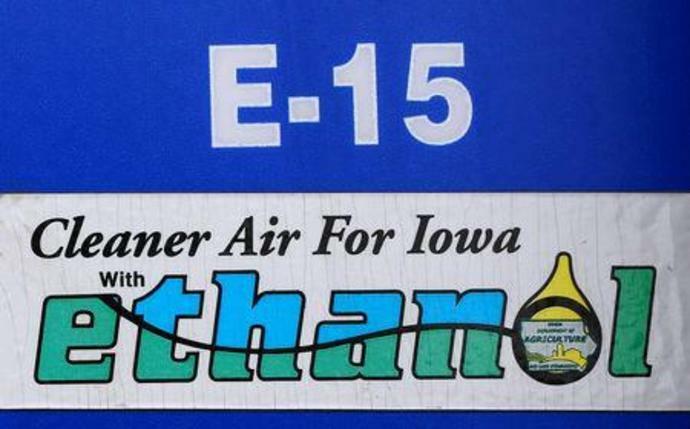 ... Today we are unleashing the power of E15 to fuel our country all year long," Trump told a cheering crowd of supporters at a rally in Council Bluffs, Iowa. The move is also aimed at helping the political fortunes of Republican candidates in the Midwest saddled with a tough farm economy and the imposition of import tariffs by Trump and China. Polls show close election races in Iowa for the governor's seat and two congressional seats. Trump told the rally that Democrats would "end ethanol" if given the chance. "You'd better get out there and vote for Republicans," he said. Nancy Pelosi, the top Democrat in the U.S. House of Representatives, said in a statement: "Democrats remain vigilant to ensure that this new measure will create real benefits for America's farmers." Iowa is the nation's biggest producer of corn, and farmers there have been frustrated with falling corn and soybean prices hurt by the trade war between the United States and China. "It's about time," said Warren Bachman, a 72-year-old corn and soybean farmer in Iowa. "With all the trade wars, tariffs and low crop prices, it seems like we are taking it in the shorts and bearing all the burden." "I feel certain this rule can be accomplished before the driving season next year," U.S. Secretary of Agriculture Sonny Perdue told Reuters in an interview. "It depends on how quickly new pumps would be added ... the greatest impact will be longer-term," Cooper said. He said the move was a great first step, but noted it faced significant political and legal opposition. "We are happy, but we know there's still a long road ahead," Cooper said. "The only certainty from today's actions is a lawsuit," Chet Thompson, head of American Fuel and Petrochemical Manufacturers, said on Tuesday. He said the industry would challenge the finalized rule in court, saying the EPA had acknowledged it lacks the authority to change this rule.